Join us Saturday evening at Spring Workshop where pianist Tinna Thorsteinsdóttir and video artist Sigurður Guðjónsson turn the space into a dedicated laboratory to explore the potentiality of performance across media. 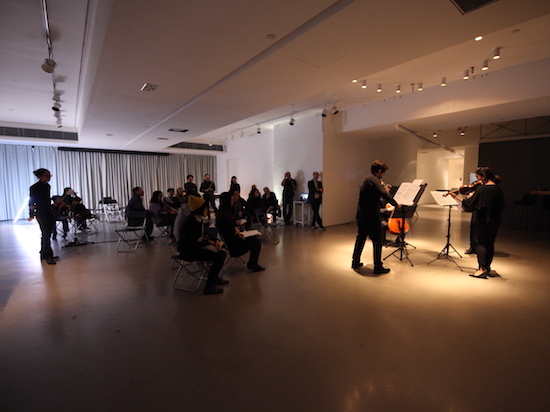 Selected fellows of THE MODERN ACADEMY will also present new works-in-progress that explore the musicality of light and the spaciality of sound. 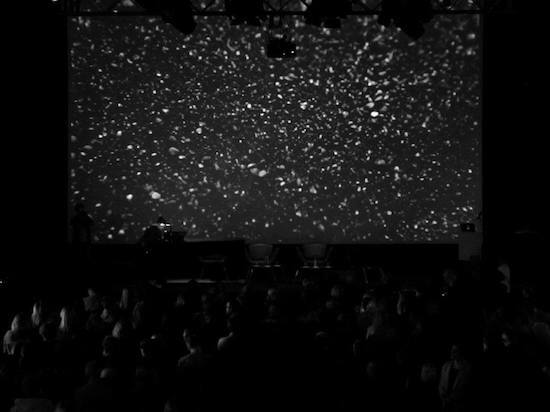 The featured work Trajectories is a collaborative composition for piano, electronics and video projection, composed by Anna Thorvaldsdottir with visuals by Sigurður Guðjónsson. 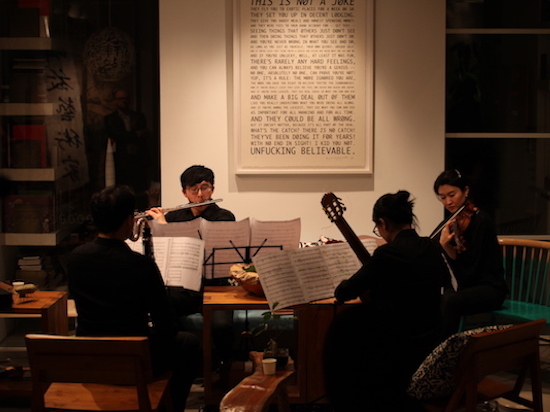 The piece was commissioned by The Reykjavik Center for Visual Music in 2014. Anna Thorvaldsdottir, currently composer-in-residence at the New York Philharmonic, frequently works with large sonic structures that tend to reveal the presence of a vast variety of sustained sound materials, reflecting her sense of imaginative listening to landscapes and nature. Her music tends to portray a flowing world of sounds with an enigmatic lyrical atmosphere. Sigurður Guðjónsson’s dark and moody videos could as easily be classed as music. He exploits the potential of time-based media to produce pieces that rhythmically engage the viewer in a synaesthetic experience, linking vision and hearing in ways that seem to extend one’s perceptual field and produce sensations never felt before.